Without onboarding, new staff may leave faster than they came in – but it’s also easy to have the process cause some serious eye-rolling around the office. However, when thinking way outside the box like the companies we’ve highlighted do, newbies will be in for an eye-popping embedding experience. Scaring new employees guarantees they’ll become a good egg. At least that’s what KFC thinks, which uses the immersion of VR in its training videogame KFC The Hard Way. It sees recruits trapped with a megalomaniacal Colonel Sanders while he forces them to fry chicken – the hard way. 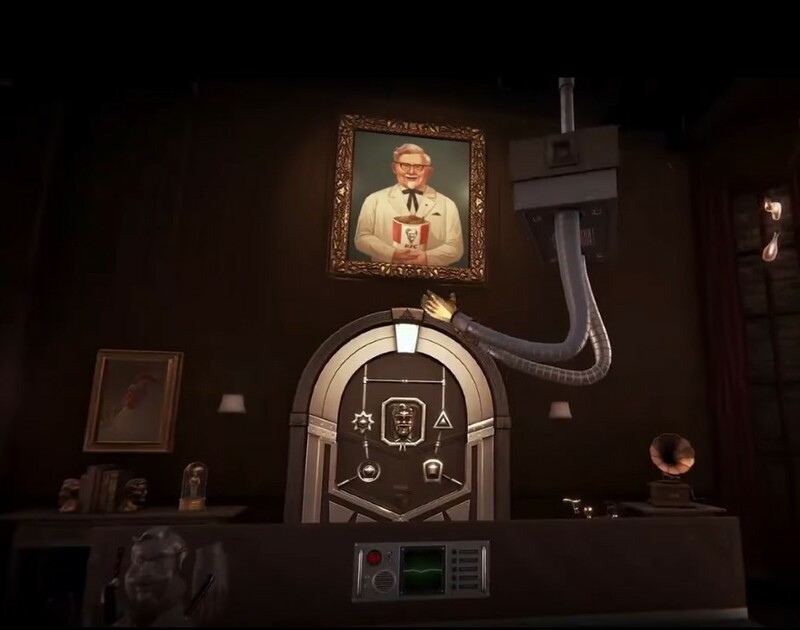 “The escape room concept builds on the pure training and utility of the experience into something that's also entertaining and connected to KFC's iconic founder,” said Jonathan Minori, design director at W+K Lodge, the game’s developer. The game’s finale sees the crazed Sanders scream: “Now, you may leave this delicious prison and ascend into a place of higher consciousness” – given that, KFC may have more secrets in store than just its original recipe. When recruits roll up for their first day it’s often the case that the best office spaces and equipment are already taken. However, most should be thankful they aren’t given a door as a desk, which is precisely what Amazon provides to teach recruits valuable lessons. "It's a symbol of spending money on things that matter to customers and not spending money on things that don't," justified Jeff Bezos, founder of Amazon, in an interview with CBS. Considering Bezos had to fashion door-desks when founding the e-tail titan with limited funds back in the nineties, he doesn’t see why newbies can’t demonstrate the same frugality two decades on. Ice-breaking can spawn some of the most cringe-inducing experiences. But CareerBliss, the job site, raised the bar by making new hires belt out their favourite song to the entire office on their first day. “It has become a right of passage for folks to join the company," reasoned Heidi Golledge, co-founder, CEO and chief happiness officer at CareerBliss, in an interview with BusinessInsider. “Once they started, everyone in the company would cheer for them and laugh with them and it became something to look forward to versus something to resent.” However, once CareerBliss reached an audience of 100 employees, Golledge refined the concerts to smaller training groups. Filtering the quitters from the keepers is easier said than done. But Zappos, the fashion e-tailer, offered up to $4,000 for its recruits to throw in the towel before spending three months with the company, ensuring those who remained were genuinely sold with the business’ culture. “We want to make sure that employees aren't here for just a paycheque and that they truly believe that this is the right place for them,” said Tony Hsieh, CEO of Zappos. The strategy certainly risks huge overturns and, perhaps more importantly, exposing how bad your onboarding really is. Most employers appreciate newbies studying their role inside and out to hit the ground running. Some even insist on a changeover period where one’s predecessor can formally hand over the reins. However, Apple throws its new hires into the deep end by not even telling them what they’ve signed up for. “I knew it was related to the iPod but not what the job was,” a former Apple engineer told Fortune. “And half the folks can’t tell you what they’re doing, because it’s a secret project that they’ve gotten hired for.” Apple has a ‘burn after reading’ culture where all its employees are sworn into secrecy. So by putting recruits into dummy roles, allegiance is guaranteed from the get-go. Considering employment levels are at record highs, there’s more chance than ever for employees to jump ship for a better offer. But if your onboarding is engaging and pronounces the company’s culture, that decision will be made all the more difficult.